Through the compassionate and generous support of our contribution team, SourcePoint Global Outreach has been able to ship many boxes of warm, used clothing to the Tibetan refugee children living at the Tibetan Children’s Village in India. 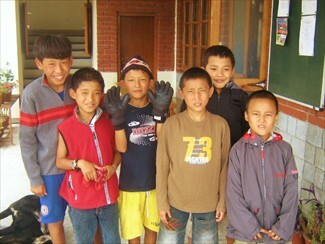 For 46 years, Tibetan Children’s Village has been working for the care and education of Tibetan children. Today TCV has become a thriving, integrated educational community for destitute Tibetan children in exile, as well as for hundreds of those escaping from Tibet every year. Getting ready to ship the clothing to India. We try to choose natural looking clothes, and colors more suited to the Tibetan Culture. 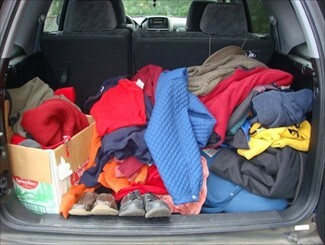 Using the generous support of our contribution team, we visit local thrift stores to gather fleece garments, wool sweaters, down jackets, long sleeve shirts, shoes, and gloves to send to the kids. 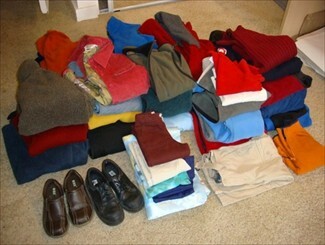 We pack up the clothing and ship it by priority mail to India. Stay in touch! Receive updates about our newest projects.